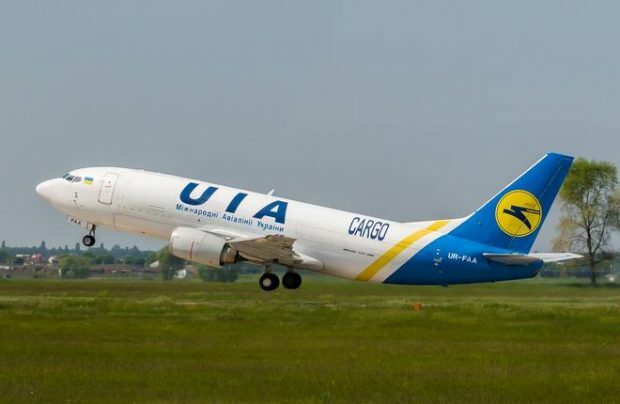 Ukraine International Airlines (UIA) has phased out its only dedicated cargo aircraft, a Boeing 737-300F (registration number UR-FAA). According to public tracking services, the aircraft made its final flight in UIA colours on January 22 this year, from airline’s base airport Kyiv to Shannon, Ireland. The 29-year-old airliner had been converted from passenger to cargo version in 2005 by the lessor GE Capital Aviation Services. The airline chose not to comment on the phase-out. In late 2017, Ukraine’s national carrier reported that its cargo volumes had increased 32.2% year-on-year to 20,300 tons. The airline explained that this was the result of its efforts to develop transit flows through its base airport Boryspil. As of late January this year, Ukraine International’s fleet consisted of 42 aircraft, including 26 Boeing 737NGs with an average age of 8.7 years (the average age of its entire fleet stands at 10.9 years). In 2018 the airline intends to add 12 aircraft: four Boeing 777s, six Boeing 737-800s, and two Embraer E190s. It will continue to gradually phase out its 737 Classics. Arrival of the B777 widebody airliners will help to considerably increase available cargo capacity of the airline.